Search engine optimization may be difficult to effectively utilize, but it can be crucial to staying competitive in the Internet age. Your business is competing against other companies who are using search engine optimization techniques to increase their presence on the Internet and boost their brand recognition. It is important to ensure that people are visiting your website if you want to succeed as an Internet business, especially for ecommerce sites. If nobody visits your site, how do you expect to sell anything? To avoid this problem, here are some SEO tips to help get you started on your path to a larger web presence. Keywords are a key factor in your website’s ranking. In order to ensure that people are able to find your business, you should invest some time in figuring out the optimal keywords for your website. Work with a local search engine marketing company to find what keywords will work best for you. The keywords should be relevant to the subject of your website. You do not want to just use keywords that will bump up your search engine rank. You can be the first result for a keyword and it still will not help you if the keyword is not bringing in relevant visitors. It is of course possible to convert users who accidentally found your website through a keyword that they expected to bring up different search results or a very broad keyword , but it would be wiser to find which keywords are attracting visitors who are already looking to buy your products or services. Any Internet marketing company will tell you that keyword stuffing is an ill-advised SEO shortcut that should never be employed. No benefits will be received from overloading your website with keywords. Rather than increasing your rank, a search engine will actually lower your ranking because the keyword stuffing makes the site look like spam. The search engine will deem the website untrustworthy. Besides looking suspicious to search engines, it will, more importantly, look suspicious to visitors. If a user is looking at your website and sees the same phrases or keywords repeated over and over again, he will most likely suspect that the website is spam. Because Internet sites are meant to be read by people, they should be designed for human use, not just for search engine rank. Keywords should be contextually inserted in the body of the text so as to appear natural. It should not be obvious where the keywords have been placed. You want to ensure that your content is adding value to the reader’s experience. Linking is another important aspect of SEO. The Internet is described as a web, with websites linking to one another. 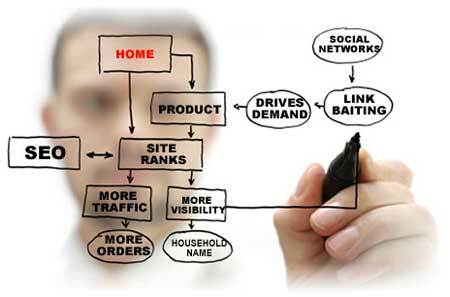 Therefore, you need to have other websites linked to you in order for people to find your website in the first place. Backlinks from relevant websites are desirable because it will increase your chances of interested users visiting your website. If you sell movie collectibles and memorabilia, it would be wise to links to your site on other websites dedicated to movies or collectibles. The more relevant, the more likely you are to bring in relevant visitors. So instead of just linking with movie-related websites, if you specialize in horror movie collectibles, try and get links to your site on other websites that are dedicated to horror movies. The guest post is written by Amanda from BestRank is a writer and blogger living in San Diego, CA.